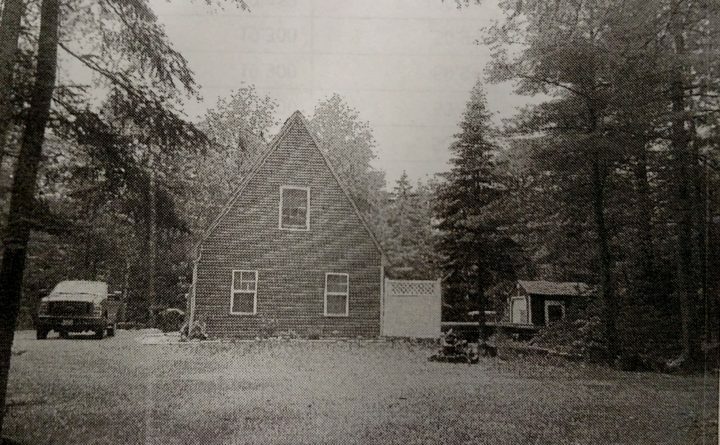 Michael Grendell's house is pictured in Dixmont assessment records before the June 29 standoff with police. The destroyed home on 2 Fox Lane in Dixmont where a man caused a police standoff, which ended when police used a robot to detonate an explosive at his home. The man, Michael Grendell, survived the blast, but police shot him after he emerged from the house and allegedly picked up a gun. Michael Grendell's property in Dixmont is pictured after community members cleaned up the debris created when Maine State Police destroyed the home with an explosive to end a standoff June 29. The morning of June 29 broke with a boom in Dixmont, a 1,200-person town in Penobscot County. A house on Fox Lane fell to the ground, and out of the cloud of dust walked a small brown dog, a kitten and, finally, a man. It was likely the first time police in Maine detonated explosives using a robot to end a standoff, according to two Maine attorneys, a mental health expert and other police observers. Nationwide, the first apparent time police detonated a robot jury-rigged with a bomb in front of a civilian was in Dallas, Texas, in 2016. The immediate consequences were clear: Where there was once a one-and-a-half story, wood-frame house, there was now just an asphalt roof. Where the owner, Michael Grendell, 61, had previously been hidden and firing at police, he was now exposed to police, who said he picked up a firearm on the ground. So they shot him. Grendell, somehow, survived both the collapse of his home and the bullets of police, which struck him in the face and torso. The long-term consequences, however, are only beginning to unfold. Two months later, as Grendell still recovers in the hospital, his case raises questions about when police should use force against people with apparent mental health conditions, and how much force; who should pay to repair the destruction; and whether deploying explosives on civilians represents a new direction in police tactics and, if so, whether it will actually protect human life. “Might there be situations in which it’s necessary? Potentially, but we should be very concerned about this becoming the way police deal with tense situations, particularly where the person on the other end is mentally ill,” said Thea Johnson, an associate professor at the University of Maine School of Law who specializes in criminal justice. In the several months preceding the standoff, Lee Bell, 53, knew something was off with Grendell, who was not just his neighbor but a close friend. They were best men at each other’s weddings. They both moved to Dixmont from Houlton at the same time in the 1980s for work, Bell previously said. But recently Grendell seemed like he was mentally drifting, said Bell, who did not comment for this article. Grendell became more irritable, behaved oddly, suddenly quit his job and lost 75 pounds. He let his phone die and never turned it back on. He developed a number of open sores, according to police records that Grendell’s attorney shared with the BDN. His more recent actions were out of the ordinary, they said. The out-of-character behavior reached a climax on the evening of June 27 when Grendell showed up at Bell’s house down the road and questioned him about a package that had arrived, that he believed was for him. The night turned confrontational when Grendell showed Bell a handgun holstered at his hip. From left, Michael Grendell's house is shown in Dixmont assessment records, after police detonated explosives to end a standoff, and then after community members cleaned up the site. Bell ran inside his house, and Grendell left. But Bell was still concerned about his friend and decided to drive over to make sure he was OK.
Grendell was outside and, when he saw Bell, got into his truck and chased him back to Bell’s home, Bell told police. Then Grendell began to shoot at him, Bell said, hitting his truck, house and another building on his property. Bell wasn’t hurt. Bell waited until the next day to call police, and even then he said he only called to get help for his friend. He told police he believed Grendell was having a mental health crisis. Grendell’s lawyer, David Bate, declined to state a diagnosis or whether his client has a history of mental illness. Bell’s words would prove prophetic. 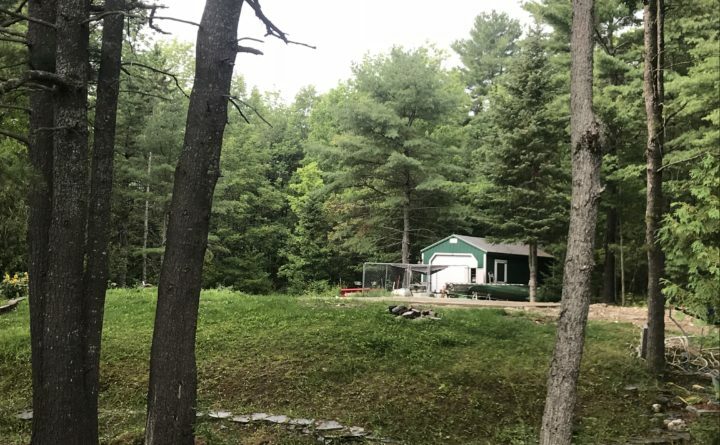 Bell met with Maine State Police Trooper Jeremy Caron at 12:40 p.m. on June 28 in the parking lot of Etna Elementary School, so they wouldn’t have to drive by Grendell’s house at 2 Fox Lane. An hour later, Caron and two other officers — Sgt. Alden Bustard and Trooper Bryan Creamer — drove to Grendell’s house. Over a loudspeaker, Caron asked him to come out with his hands up. Grendell complied. He wore only a pair of underwear and asked if the officers were the “real police,” according to a report by Bustard, who had taken cover behind a large tree near the edge of the property. Bustard said they were with the Maine State Police and ordered Grendell to walk away from the residence. Grendell said he was OK, walked back inside and closed the door. Police said later that they tried to “de-escalate the situation,” but, when asked, declined to say how. They declined to say whether they asked a mental health professional, such as someone with a background in social work or psychology, to help. They also declined to say whether any officers who had taken Crisis Intervention Team training were present. Maine’s chapter of the National Alliance on Mental Illness provides the training to law enforcement and other first responders on how to handle situations that involve people with mental illnesses. It’s different than other training that police, including crisis negotiators, receive. “More and more, law enforcement responds to people who may have an illness, or who just may be in a crisis. It’s important to recognize that even someone who has no history of mental illness can find themselves in a mental health crisis,” said Jenna Mehnert, executive director of NAMI Maine. What is clear is that, over time, more police arrived in Dixmont, including members of the state police tactical team, bomb squad and crisis negotiators. Though police tried to speak with Grendell using a public address system attached to an armored vehicle, no one could persuade him to come outside. “Grendell did not acknowledge contact attempts over several hours, despite negotiators seeing signs of activity inside the residence,” said Col. John Cote, chief of the Maine State Police. Just before 6 p.m., Grendell came out of his house with a black handgun in his right hand and a Civil War-type replica rifle slung over his left shoulder, according to a report by Trooper Eric Sucy. Grendell had his dog with him and yelled something — Sucy did not hear what — toward the armored vehicle. Then he went back inside. Police played a recorded message from Jacob Irish, Lee Bell’s son and Grendell’s godson, over the intercom system in which he asked Grendell to come out so police could help him. Despite playing it multiple times, Grendell didn’t emerge, but he did send a type of message. Whenever a negotiator started talking, Grendell remotely activated his truck alarm. To police, it sounded like Grendell was “taunting the negotiators,” Sucy said. But Grendell later told his cousin a different reason: He was using it as a signal so someone would help him. The night passed. Around 5 a.m., June 29, an officer threw two weighted balls at the house to try to get a response from Grendell. They didn’t have the desired effect. Then, at 5:15 a.m., police drove a bulletproof, armored vehicle up to Grendell’s house and extended a pole to smash one of his windows to gain a better view of Grendell. It was then that Grendell began to shoot. “Not surprisingly, Mr. Grendell was terrified and began firing,” Bate wrote in a statement. Grendell aimed a handgun directly at the armored truck and fired several rounds, hitting the front end and windshield, wrote Sgt. Scott Dalton. For about the next four hours, he continued to fire occasional rounds at police, including at officers stationed around the perimeter of the house. Around 8:20 a.m., police on scene learned that the bomb team would use a different tactic: an explosive delivered by a robot. The goal would be to bring down a wall, so police could see where Grendell was inside his home, wrote Paul Casey, an assistant team leader. “At this point, Grendell had been arbitrarily shooting out of the residence at us for hours, but no one could pin point (sic) exactly from where inside the residence it was coming from,” Casey wrote. Police in Maine have relied on robots before to detonate suspected bombs, but this time the robot’s purpose was to deliver one. How police could blast away Grendell’s home “without killing Mr. Grendell would seem to take a miracle,” Bate said. Police remotely maneuvered the robot, with its claw holding the explosive device, to a window. They planned to detonate it regardless of whether Grendell took out the robot, which he did with a gunshot. Police discussed whether to place the explosive inside or outside the home “and made the decision to attempt to place it inside in order to minimize danger to personnel,” wrote Major Christopher Grotton. Sgt. Christopher Harriman detonated the explosive, and Grendell’s house collapsed. Cote declined to answer questions about what type of explosives the robot was carrying, and police reports don’t mention it. During a press conference in Dixmont, Cote said using explosives was a last resort and cited the danger to officers. He did not describe the process by which police decided to detonate the explosives, nor whether they expected the house to fall down. It’s rare for police to use explosives against civilians, especially using a robot. Criminal justice observers recalled just a handful of examples. In 2016 in Dallas, police used a robot to place an explosive that killed a man suspected of killing five police officers and injuring seven. Experts said it appeared to be the first time police in the United States had intentionally used a lethally armed robot. In 2011 police accidentally started a fire when they strapped tear gas to a robot and sent it into a house in Tennessee. That case didn’t involve explosives. Another similar case happened during wartime. In the mid-2000s, U.S. troops duct-taped a claymore mine on a robot and drove it down an alley in Iraq to kill an insurgent, rather than risk the life of a soldier, said Peter Singer, who has written books about military affairs and is strategist for New America, a Washington, D.C., think tank. Indeed, the use of robots to deliver explosives is largely a military tactic. Whether police should adopt more military-like equipment and techniques is worth more of a public discussion, said Zachary Heiden, legal director of the American Civil Liberties Union of Maine. Rep. Charlotte Warren, D-Hallowell, said she anticipates the issue of Maine police using explosives to come up in the Maine Legislature. Heiden said there’s also a need for an outside assessment in cases involving lethal force to determine whether something could have prevented the use of force. Maine’s attorney general is responsible for conducting investigations into whether police officers’ use of force is justified, including in this Dixmont case, but the process doesn’t examine whether the incident could have been avoided entirely. The office, which has been in charge of investigating such cases since 1990, has never found a shooting unjustified. The law also requires officers to make “reasonable efforts” to tell the suspect they are trying to make an arrest and to have “reasonable grounds to believe that the person is aware” of what they’re trying to do. In 2015, 2016 and 2017, Maine saw an average of 3.25 deadly police shootings per 1 million people each year. Vermont saw an average of 2.13 deadly shootings per 1 million people each year; New Hampshire, 2; Massachusetts, 1.17; and Connecticut, 1.11. Raw numbers were obtained by the Washington Post and calculated by the BDN. “I think it’s just concerning that there seems to be a lack of less violent ways to resolve the situations in the state, and that may be why we have more use of deadly force cases in Maine,” said Hunter Tzovarras, president of the Maine Association of Criminal Defense Lawyers. “It was a significant event, and our hand was forced in some ways by Grendell’s continuing to engage in shooting from his residence. At a certain point we needed to take steps to protect our officers and the neighbors,” Cote, with the state police, said. Given that there were several neighboring homes within walking distance, police told neighbors to evacuate or shelter in place, and they closed off a section of the road around Grendell’s house. No officers were struck by Grendell’s bullets. 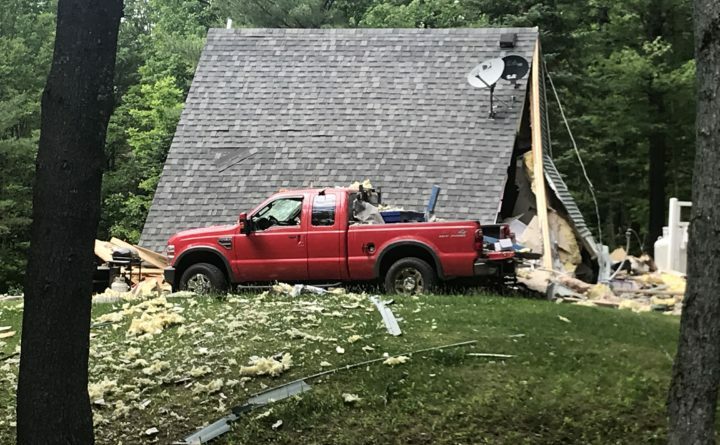 The blast, which happened at 9:20 a.m., destroyed both floors of Grendell’s home and disfigured the side of his bright red pickup truck. “The first floor was obliterated. The second floor crashed down upon the slab foundation. The side of his truck, parked nearby, was caved in and perforated with what appears to be shrapnel,” Bate said. The explosion, though powerful, did not end the standoff. After Grendell’s dog and kitten emerged from the wreckage, “some of the house siding moved and Mr. Grendell, obviously dazed from the explosion and unable to comprehend what was happening, found his way out,” Bate said. Grendell emerged from the rubble clutching a baseball bat. He dropped it to then pick up a rifle that had apparently been blown out of the house “and began working the action of the weapon as if trying to load ammunition into it,” wrote Dalton. Using the intercom system, police told him to drop the gun. Members of the tactical team shot him in the face and torso. It was about 9:45 a.m., 20 hours after police first arrived. Grendell fell to the ground but was still moving, with the rifle in close proximity, Dalton said. Police ordered him to crawl toward the armored truck, and he got on his hands and knees, but then stood up. He walked away from the truck and sat down. Under orders to arrest him, Trooper Mike Lane carried a ballistic shield and used it to pin Grendell to the ground. Dalton said he couldn’t see whether Grendell had anything in his hands or whether he was concealing a handgun in a cloth wrapped around his waist. So Dalton grabbed Grendell’s left wrist to prevent him from reaching in his waistband or moving toward the rifle he had been carrying moments ago, but he could not rotate Grendell’s left hand behind his back. Grendell mumbled words Dalton couldn’t understand. Holding onto his wrist with his left hand, Dalton then punched Grendell’s left thigh to get him to comply with the arrest. He stopped when Grendell, whom he estimated to be 6 feet 5 inches tall and 225 pounds, began kicking him. Only with three officers overpowering Grendell were they able to get both of his hands in flex cuffs. He was covered in blood, “with visible signs of injury to his face and wounds all over his body,” Dalton said. They could hear and smell gas leaking from a propane tank next to them. A Life Flight helicopter flew Grendell to Maine Medical Center in Portland. The officers who used deadly force — Sgt. Christopher Harriman, Trooper Caleb McGary and Trooper Andrew Hardy — were placed on administrative leave as required by state police protocol. They have since returned to work. Grendell, who declined to comment for this story, remains at the hospital with serious injuries. He was charged with three felonies: reckless conduct, criminal threatening with a dangerous weapon and attempted murder. It fell to the town to clean up the mess. On July 11, a group called Neighbors Helping Neighbors helped rent a dumpster, and a number of local residents and family members pitched in to clear the debris. The town is now asking the state police to cover the $2,000 in costs, said David Bright, Dixmont’s first selectman. “It was quickly becoming attractive to vermin as well as to onlookers, curious children, and potential looters,” the select board said in a letter sent to Maine State Police on Aug. 13. Bell, who expressed dismay about the standoff, joined efforts to clean up his friend’s property, according to Bright. An earthworks contractor, Bell brought his skid steer over to help and, later, a dump truck to remove the lumber and metal. He used an excavator to pick up what little bit remained.